As part of our commitment to cultivating business knowledge and serving the communities we live and work in, Rutgers Business School offers a variety of pre-college programs aimed at giving area high school students early access and exposure to an education and career in business. Run through the Office of Diversity Programs, the Business Student Transition at Rutgers (B-STAR) program helps bridge the gap between high school and college for high-performing freshmen minority students who have accepted admission to Rutgers Business School. Run through the Office of Diversity Programs, Pathways Leading to Undergraduate Success (PLUS) is a package of programs designed to promote diversity in business education and recruitment at Rutgers Business School. This program aggressively recruits underrepresented, high-performing high school juniors from Newark area schools. Students can earn 3 credits toward their undergraduate business degree if admitted to RBS. 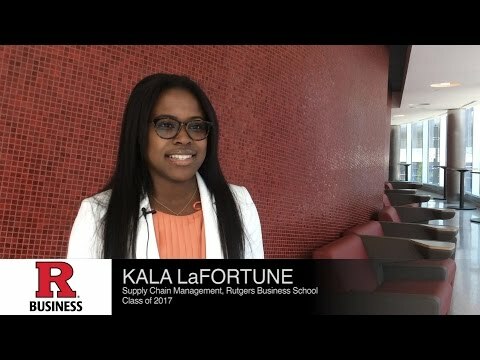 This program helps bridge the gap between high school and college for high-performing freshmen minority students who have accepted admission to Rutgers Business School. NextUP is a one-day college exploratory program designed to introduce high school freshmen and sophomores of diverse and under-represented backgrounds to the full range of opportunities available within the business world and educate them on the college admissions and financial aid process. During this week-long summer camp, students will learn business basics, build communication skills, work as teams and learn about the college admissions process and careers in business. Scholarships are available. The Supply Chain Education Partnership Program provides local high school students a sense of supply chain management as a career.